On the 31st of July 2014 the M.V. 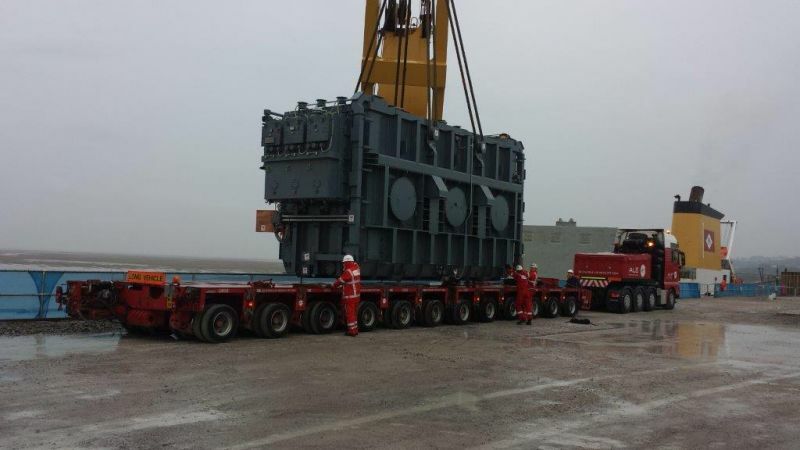 Annemieke delivered a 400 MVA transformer to The Port of Mostyn for onward transport to the new substation project at Connanh's Quay. The transformer weighing 181 tonnes was discharged by the vessel onto an SPMT trailer. ALE was responsible for the handling, storage and onward transportation to Connah’s Quay on the 7th of September.